Northwest Christian Writers Association - Marlene Anderson - "Hello. I am Your Reader"
Marlene Anderson - "Hello. I am Your Reader"
"Hello. I Am Your Reader?" I am the person who will choose to pick up your book and read it to the end or start and then discard it. Why should I read your book? Is there a message or significance that is relevant? Have you constructed a story around characters and circumstances that are real and believable? Can I relate to them? I have started many books that I have never finished because the characters or circumstances are unrealistic. 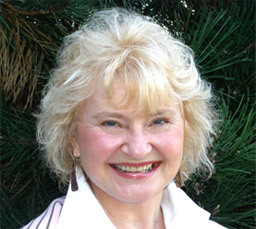 Marlene Anderson, MA, LMHC, NCC - Marlene is a licensed counselor, author, speaker and retreat/workshop leader. She has worked in clinical, educational and church settings, as a college teacher and facilitator of psycho-educational classes. She has developed and delivered course material and workshops on diverse subjects including parenting, couples communication, stress management, grief and loss, and pain management. Devotional: Pat Schantz - "Christian America"